ESS Slovakia was founded in September 2002. 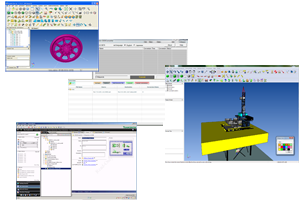 We are specialized in providing commercial CAD/CAM software solutions to manufacturing and other industrial markets and on Product Lifecycle Management (PLM) services. Our creative people, innovative technologies and strong market position enables us to successfully realize superior business results for our customers. Our continued success is only possible if we surpass your expectations and offer you the quality you deserve. We are a subsidiary of NTT Data Engineering Systems Corporation. Copyright 2002-2015 Engineering Systems Solution Slovakia. All Rights Reserved.